Every year, the Potomac River swells as it fills with water from melting snow and heavy spring rain. The water level can rise several feet in the process depending on where you take the measurement, and while it usually stays within its banks, it will occasionally spill over and threaten riverside communities like Darnestown, Travilah, and Poolesville. And if a flood does come, there are a few ways it can damage a home. First of all, the rushing water has the potential to push a house clean off its foundation and drop it hundreds of yards away. If something like this happens, there’s really nothing you can do but start over from the ground up. Second, floodwaters are incredibly dirty thanks to all the debris and actual dirt they pick up and move around. Along with dropping some potential toxins into your basement, a flood can also fill such a space with tons of silt and sand within a matter of days. Third, floodwaters damage wood, drywall, and even the concrete foundation whether it carries the building off entirely or not. That’s why you need to inspect the building thoroughly and replace and repair every area that needs it no matter what the cost is. Finally, floodwaters soak their way through everything they reach, and between that and the organic debris they leave behind, floods are always followed by massive mold outbreaks. Mold spores are always all around us. Whether a species grows on food, wood, or the skin flakes in dust, all mold needs is something to eat, a little moisture, and enough peace and quiet to grow without being disturbed. 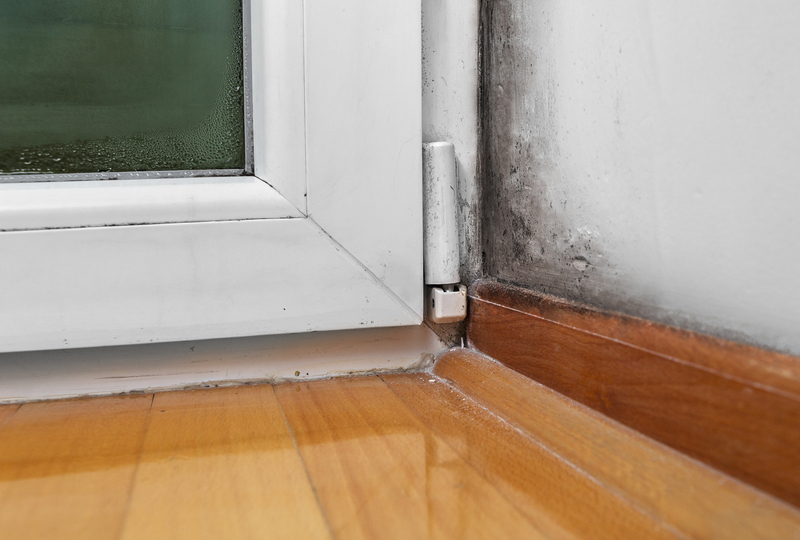 If all three elements are present, mold populations can explode. Dark, cool areas are a plus, but not required. Mold only needs one to ten days to start growing, so the outbreak follows quickly in the wake of a flood. Because of this, the need for mold remediation in Poolesville or any flooded community is always high. Of course, a flood isn’t the only reason to perform a professional Poolesville mold remediation. Water can creep into basements and crawlspaces through more subtle means like a broken drain that lets rain collect too close to the walls, or an animal burrow that directs rain towards the foundation. Even a bad landscaping job can do the same thing, and mold is so tenacious it can live on nothing more than the humid air of a Maryland summer. The first step of every Poolesville mold remediation is to identify any and all sources of moisture and get rid of them. With such a short incubation period, mold can start growing back within days if nothing is done about its source of water first. In the wake of a flood, this means completely cleaning out all the water and dirt left behind and giving everything the chance to completely dry. In other instances, this can mean insulating pipes to prevent condensation, adding a sump pump to keep the water table from creeping up into the basement, repairing the rain gutters so that they work properly, or installing a dehumidifier to keep the basement or crawlspace humidity low. After that, the mold remediation company will seal off the affected area so that mold spores can’t get out and infect the rest of the building. Mold spores may be everywhere already, but there’s no sense in letting the spore count get excessively high. If it does, it can make future mold infestations more likely, and too many spores can even affect humans in negative ways. The next step of a mold remediation in Poolesville or any other community is the cleaning process. Soap, water, and lots of scrubbing is fine when the mold outbreak isn’t very bad, but a severe outbreak, like one that follows a flood, can require chemicals like fungicide and bleach. Some affected materials, like insulation or carpets with organic fibers, may need to be completely removed and replaced. If you need mold remediation in Poolesville or any other part of the greater D.C.-Baltimore area, or even if you live in a neighboring state like Virginia, Delaware, or Pennsylvania, you should give the experts at AA Action Waterproofing a call. We perform jobs like basement waterproofing, crawlspace encapsulation, mold remediation, and foundation repair throughout Maryland and beyond, and our initial estimate is free with no obligation. No matter what your foundation situation is, we can help.